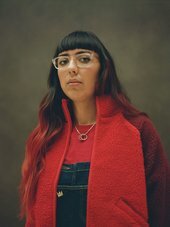 We caught up with a few past Tate Collective contributors and asked them introduce us to someone they admire and think is 'one to watch'. 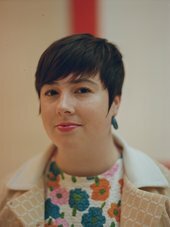 Embroidery artist Hannah Hill has been a Tate Collective Producer since 2013, programming events, running workshops and most recently co-curating LDN WMN a series of large-scale public artworks which were installed around the city. Here she catches up with her up and comer, embroiderer Kate Rolison, with whom she shares a passion for changing perceptions about the medium. Watch the pair talk through the benefits of embroidery for healing the mind, what art means to them and where they think it’s headed. Directed by filmmaker Nadira Amrani, this is the fourth of our series of Artist Meets films, showing conversations between old and new Tate Collective friends. WHO is your one to watch? We will be asking Tate Collective for suggestions on who we should be working with in 2019 and beyond. Sign up for your free account to be first to know about how to have your say.